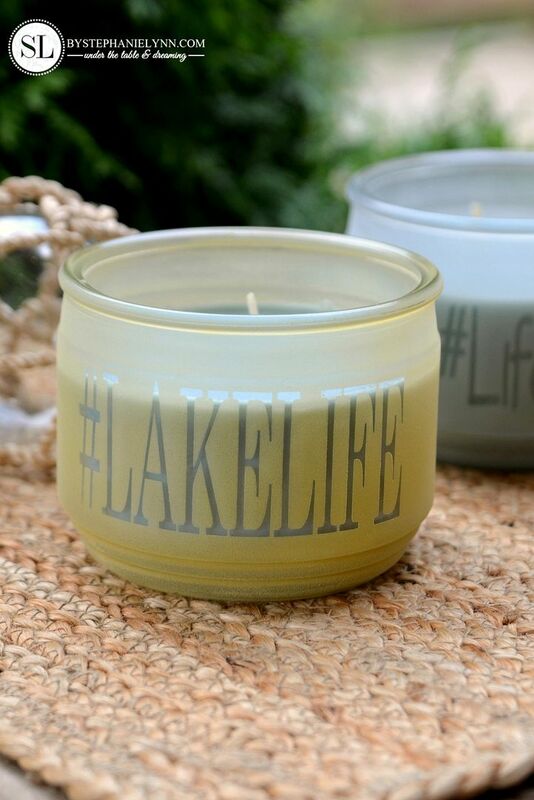 Candles are one of my all time favorite, year-round decorating accessories. From coffee tables to countertops, the invigorating seasonal scents and stylish containers can instantly add personality to any space in your home. Each season we see current trends influence everything, from home decor to fashion – and with the maker movement hotter than ever, DIY projects are no different. This month Michaels challenged the Michaels Makers Team to take some of the hottest current concepts and incorporate them into our own DIY project. 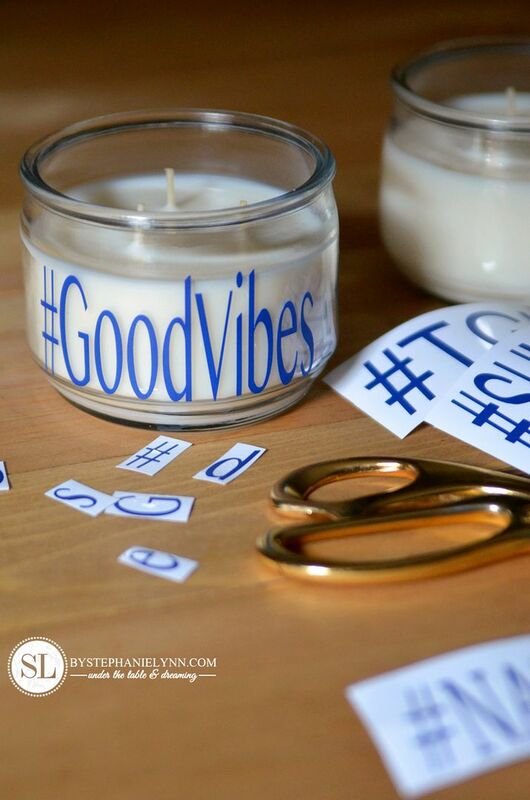 I’ve blended together a little typography and some trendy hashtags with a touch of coastal decor to create these DIY Sea Glass Personalized Candle Jars. and require just a couple of basic supplies. The unique coastal sea glass finish is simply achieve with a couple coats of spray paint, specifically formulated for glass. It’s that easy! 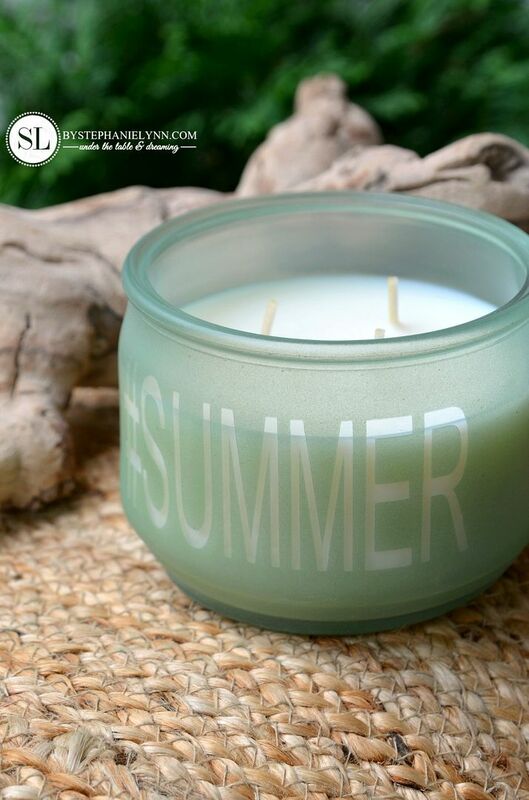 Any smooth glass jar candle with a removable label will work. Inexpensive 11.5 ounce candles were used for this tutorial. Wipe the glass clean of any sticker residue prior to beginning. The letters can be vinyl cut with a Silhouette Machine or simply pre-packaged Alphabet Stickers. 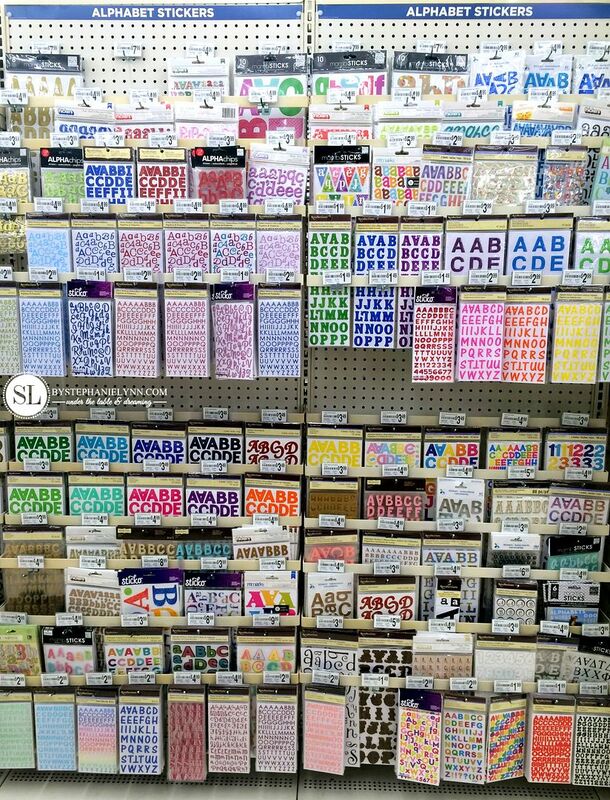 Michaels has a large selection of styles and sizes. 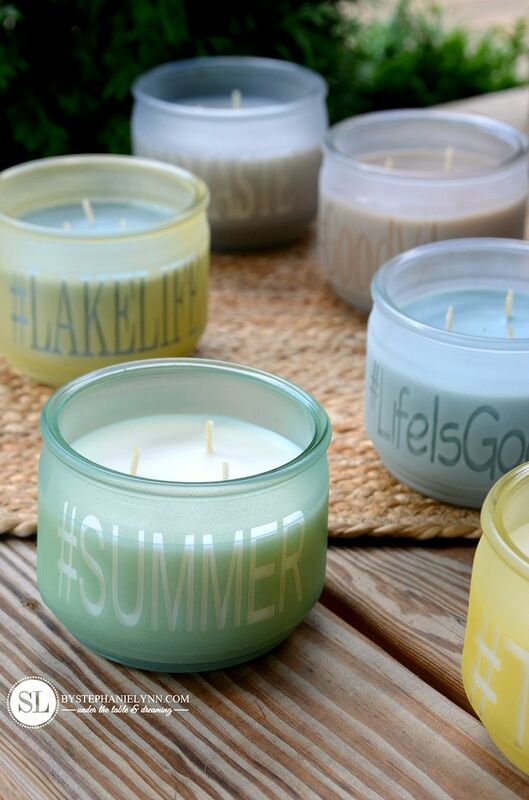 Two inch letters were used for these particular candles. 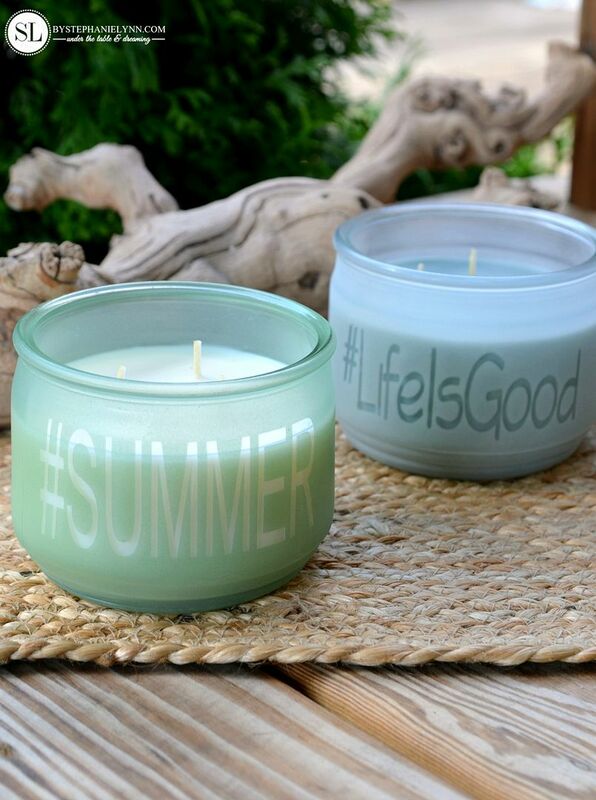 Krylon Sea Glass Paint and Krylon Frosted Glass Finish were used on the candles. Both are formulated for glass surfaces. The Sea Glass Paint comes in a variety of colors. Sea Foam, Lemon and Ice are used in this tutorial. 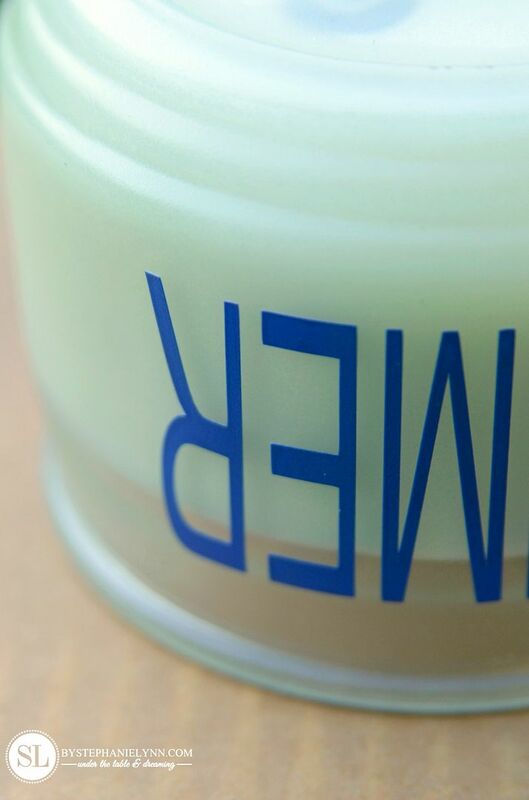 The paint dries to a smooth, powdery semi-transparent finish. The Frosted Glass Finish is a semi-transparent paint that dries with white tint. For the best finish, apply multiple light coats and allow the paint to dry for one minute in between spraying. The more coats that are sprayed, the more opaque the color will become. Three coats were applied to the candles in this tutorial. Once the jars are covered allow them to dry for at least 15 minutes before handling. The possibilities are endless using this straightforward technique. 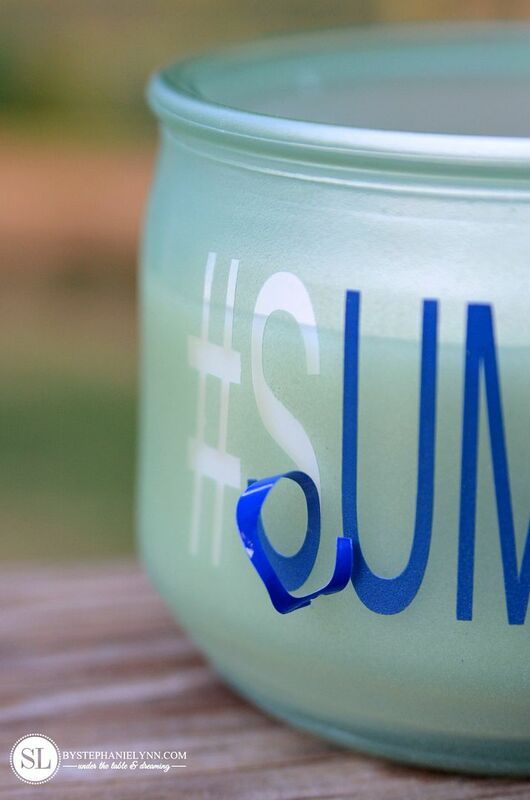 And they make perfect hostess gifts for all of your summer soirees. 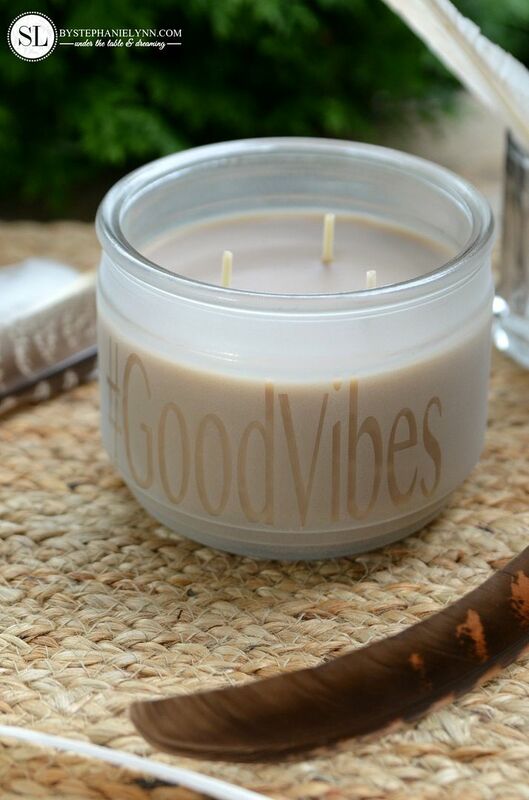 What would your trendy candle say? 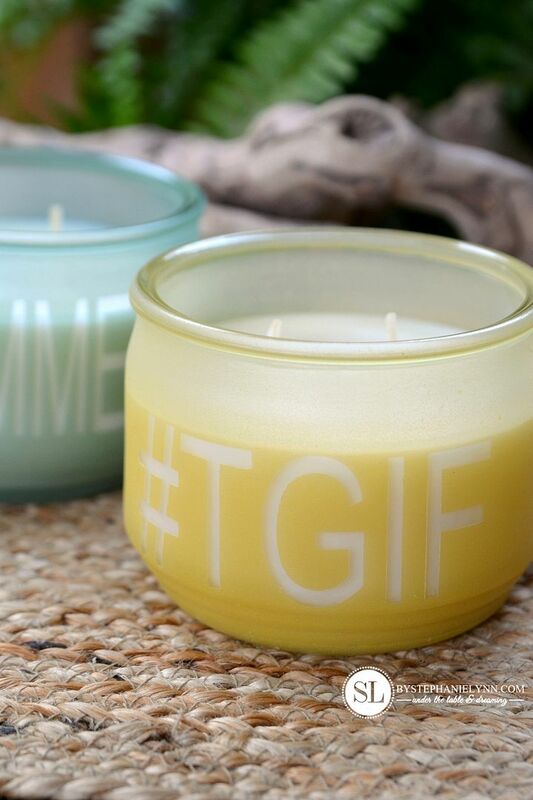 Checkout all of the other Michaels Makers Favorite DIY Trends now, on the Michaels blog. This post is brought to you by Michaels . The opinions read here are entirely my own. From tie-dyeing to lettering to tassels, pom poms and even unicorns, Michaels has everything you need for the latest and hottest DIY trends. Happy Crafting! Want to be sure I understand correctly – can buy candles you used for this project at Michaels? Then just need to decorate jars in preferred way? Really love this, would make wonderful and pretty, easily done gifts for others or our own homes. Love this idea, so glad you shared. Have wonderful weekend. Hi Jane. 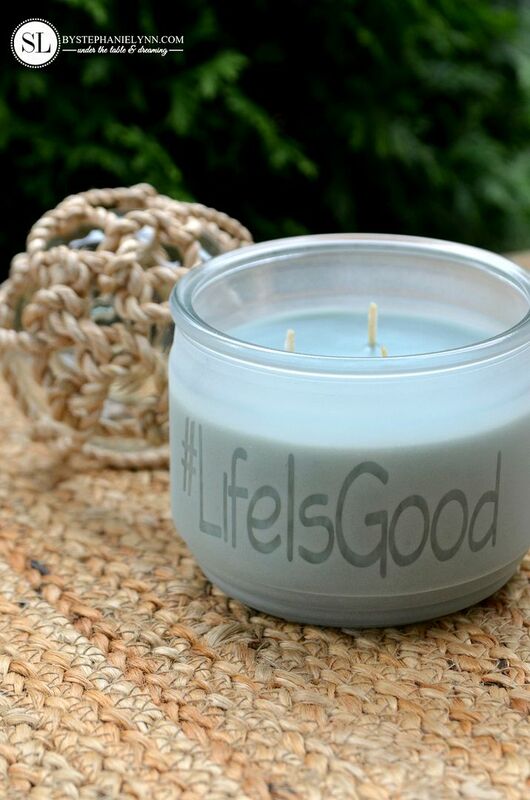 I actually used these particular 11.5 ounce jar candles. Any plain, smooth-sided glass jar candles would work though. 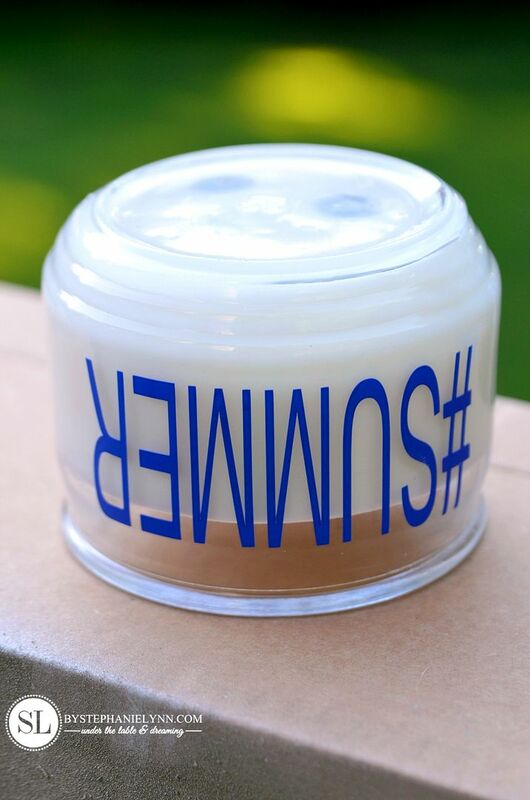 Just make sure any labels on the outside of the jars can easily be removed. Then I just followed the tutorial above to decorate. 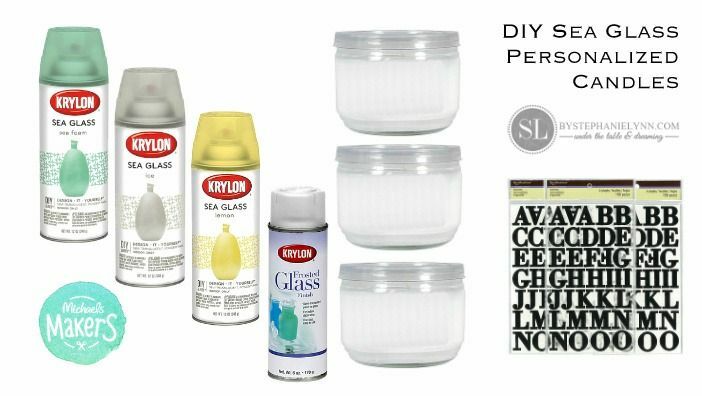 It is such an easy and simple way to personalize and spice up the inexpensive glass jars. The end result looks like the candles were manufactured that way and the ‘sea glass‘ is so pretty as the candlelight flickers through. I’ve already given two as hostess gifts and they were surprised they were semi-handmade! Thanks so much for stopping by – Have a wonderful summer! 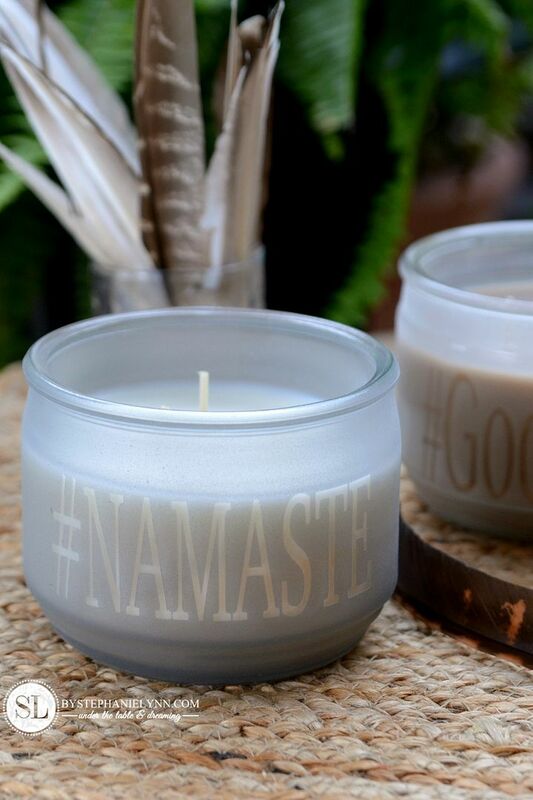 Always liked candles- there is no other item that brings at home cozy and comforting atmosphere in a better way. 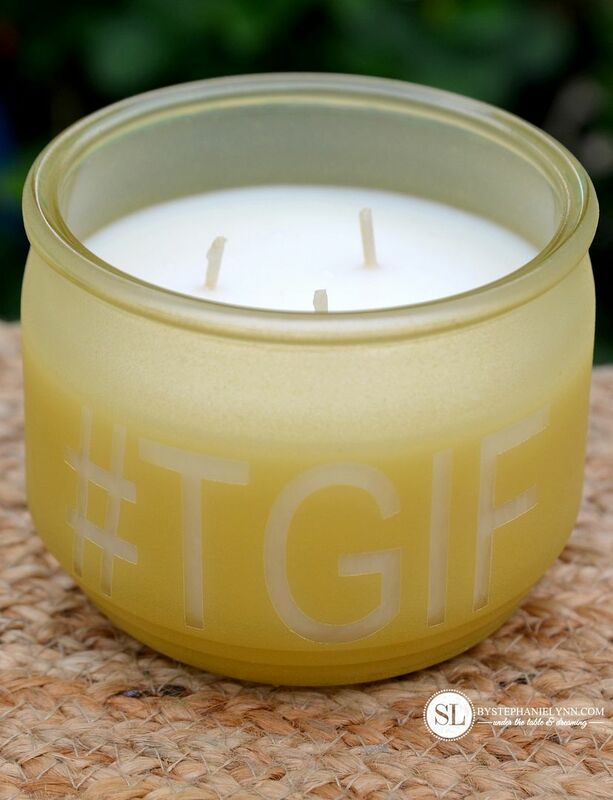 Aside from the romantic cliches candles are always a good idea for bringing some extra light at home. Love all of your ideas, they all look great.